May 7, 8, 9, 10 & 11, 1968. GP wrote: “The play is set in modern Dublin and is about ‘What sent Billy mad’. 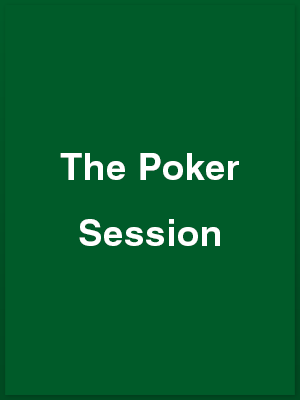 The poker session of the title is the framework for a mental strip poker session in which each character in turn suffers from, what one might tem, indecent exposure when the events of the past are dredged up. THE Wick Theatre Company’s latest production, The Poker Session, by Hugh Leonard, is a psychological drama in the modern idiom. The play, which is presented at the Barn Theatre, Southwick, on Tuesday and runs until tomorrow [Saturday] night, involves the audience in a seesaw of emotions exposing the pettiness and inhumanity of a Dublin suburban family circle. It opens with Billy, the elder son, home again after a year in a lunatic asylum. His friend Teddy, a voluntary inmate at the same institution, calls on his first day out to met the family during a poker session and to help reveal the root causes of Billy’s temporary madness. From this situation the comic, macabre, drama builds up, and the characters of brother Kevin, mother Mrs. Beavis, ex-girlfriend Irene and sister-in-law Fran are laid bare. Ray Hopper as Billy, Patrick Johnson as Teddy and David Creedon as Kevin turn in fine performances in demanding rôles. Fran, played by Sue Brown, is suitably trivial, bringing out the comedy of her particular situation. Pat Dodsworth Moss takes the difficult part of Irene, while Eileen Silverthorne gives a thoughtful interpretation as Mrs. Beavis. The production by George Porter gives the actors admirable opportunities, and the setting by Vincent Joyce is unadorned but appropriate. Lighting variations are handled imaginatively by Frank Hurrell, Bob Baker and Tom Bannister. IF YOU wish to see the finest acted, best produced play that amateurs in the area have presented in many a long year, make the journey to the Barn Theatre, Southwick tonight or tomorrow at 7.45 to see Wick Theatre Company, directed by George Porter, in The Poker Session by Hugh Leonard. It is said that the play is about “What sent Billy mad” – it is a probing after the manner of J. B. Priestley’s An Inspector Calls but there the resemblance ends. This play is incisive, it is gay in its tragedy, and it contains performances of great merit and quality. Billy, newly discharged from a mental hospital, is portrayed by Ray Hopper and played with precision. Here is indeed a man returning after a year away and seemingly cured. It is only at the final curtain that the question “What sent Billy mad” is answered and looking back, everything drops into place. In the institution Billy made a friend in Teddy, a voluntary patient who discharges himself at the same time, and arrives at the house. Teddy is played by Patrick Johnson with such keenness and insight, and with a quaint twisted sympathy that is by turn alarming and amusing. Delving in my memory this is a performance the like of which I cannot recall; it is technically brilliant, strangely credible and perfectly timed. Of the rest of the household Eileen Silverthorne plays Mrs. Beavis, the widowed mother – a disappointed woman ruling her life by petty conventions. David Creedon is Billy’s brother Kevin, a weak and unprincipled man blustering his way through life. This is another keenly-observed performance that does great credit to actor and producer. Fran, his wife, bullied but holding her own, is well cast in Sue Brown. Irene, who married Billy’s other brother who was invited to the poker session but who failed to arrive, is another keenly individual performance, which nevertheless, fits perfectly into the picture and is played with skill by Pat Dodsworth Moss. To all this must be added an excellent set designed by Vincent Joyce and constructed by Barrie Bowen with the help of the company, sound effects by Frank Hurrell and Terry Mase which are authentic and overall the pace and direction of the producer. Take a word of advice and see this play. If you want to be sure of a seat, telephone Mrs. Margaret Ockenden at Southwick 4594.